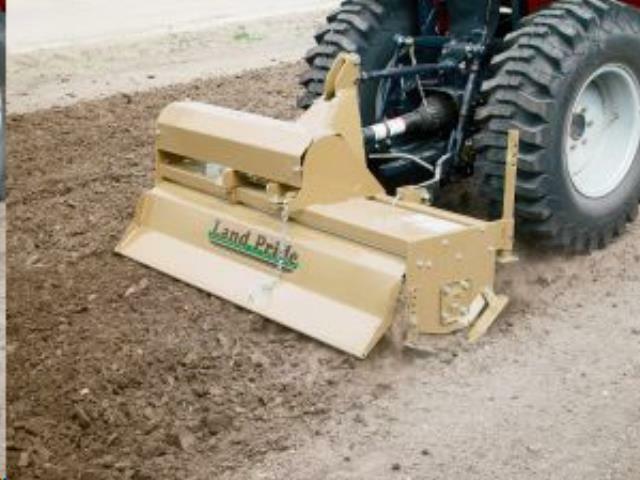 Land Pride's RTA15 Series forward rotation Rotary Tillers are great for seedbed or garden plot soil preparation. This unit is 58" wide. RTA15 Tillers have uses in landscaping, nurseries, gardens, and light commercial applications. * Please call us with any questions about our tlr 8 pto tiller landpride rentals serving Princeton, Vincennes, Evansville, Gibson County, and surrounding communities in Southwestern Indiana.